“I wanna use a program on an .m4a file, but the program can’t handle .m4a. It can handle .aac, however, and the codec of the file is MPEG-4 AAC. Is there a way to convert to .aac (and preferably converting back) without re-encoding?”A question from superuser.com. This kind of questions are actually not rare online. So many people are searching for solutions on how to convert M4A to AAC free. Here in this guide, you would be listed with the best M4A to AAC converter tool and detailed steps on how to convert M4A to AAC format. A file with the M4A file extension is an MPEG-4 Audio file. They’re most often found in Apple’s iTunes Store as the format of song downloads. Many M4A files are encoded with the Advanced Audio Coding (AAC) codec in order to reduce the size of the file. Some M4A files may instead use the Apple Lossless Audio Codec (ALAC). However, there are still many M4A files that come with no AAC codec. That’s why we may need to convert M4A to AAC. 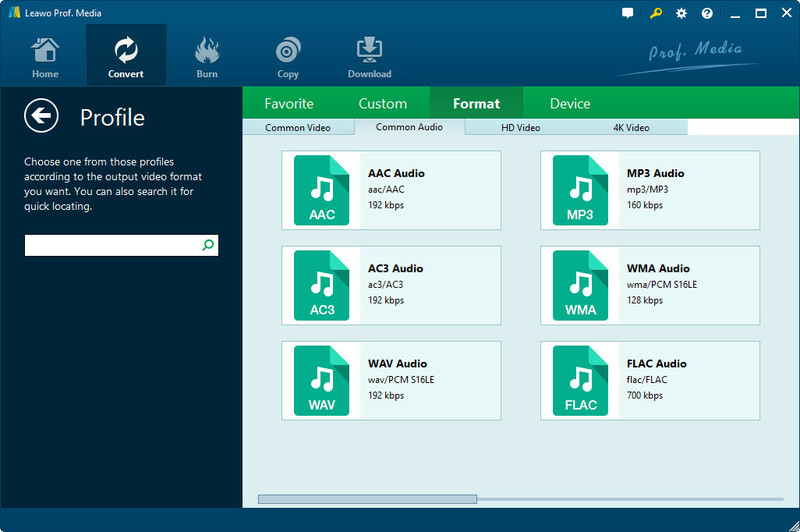 To convert M4A to AAC, you need to use Leawo Video Converter, a top-notch video and audio converter program that could help you convert video and audio files between hundreds of popular formats. With it, you could convert MP4 to MOV, MP4 to MP3, AVI to MP4, AAC to MP3, etc., and M4A to AAC as well. You could batch convert M4A audio files to AAC format. This video converter is available in both Windows and Mac versions. Firstly, download and install this video converter on your computer via the links below. Then, you need to follow the below steps to learn how to convert M4A to AAC within this audio converter. Kick off Leawo Video Converter and then open the “Convert” tab to enter the “Convert” module. Then, directly drag and drop source M4A file(s) into the Convert module. You could play back loaded M4A audio files, merge M4A files into one, etc. Click the drop-down box before the green “Convert” button. On the drop-down menu, choose “Change” option to enter Profile panel. Then, successively open “Format > Common Audio” group to choose “AAC Audio” as output profile. After setting AAC Audio as output profile, return to the main interface and then click the big green “Convert” button. On the popup sidebar, set an output directory in the “Save to” box. After setting output directory, move mouse to the bottom and then click the “Convert” button to start converting M4A to AAC within this video converter. It will take you only a few minutes to finish the conversion, depending on the file size you’ve loaded. Note: you could adjust the audio parameters like codec, bit rate, quality, channel, sample rate of output AAC audio format by clicking the “Edit” option on the drop-down menu mentioned in Step 2. You could also use online video converters to convert M4A to AAC free online. These online video converters could generally be considered as M4A to AAC converter freeware to help you convert M4A to AAC free online. But if you want to convert M4A files of large size, some online video converters might require you to upgrade to Pro version, which won’t be free any more. 1. Open the website convertfiles.com. 2. Next to the “Choose a local file” box, click the “Browse” button to browse and upload M4A file from your computer. 3. In the “Input format”, this online free M4A to AAC converter would automatically detect the format of uploaded file. 4. In the “Output format” option, choose “MPEG-4 AAC Audio File (.aac)” as output profile under the “Audio” group. 5. You could check the “Send a download link to my email” box if you need. 6. Then click the “Convert” button to start converting M4A to AAC free online. 7. Once the conversion is finished, you will get a download option to download converted M4A audio file. Download the converted M4A audio files to your local computer. It will take a few minutes. Leawo Video Converter offers you batch M4A to AAC conversion without Internet connection requirement. 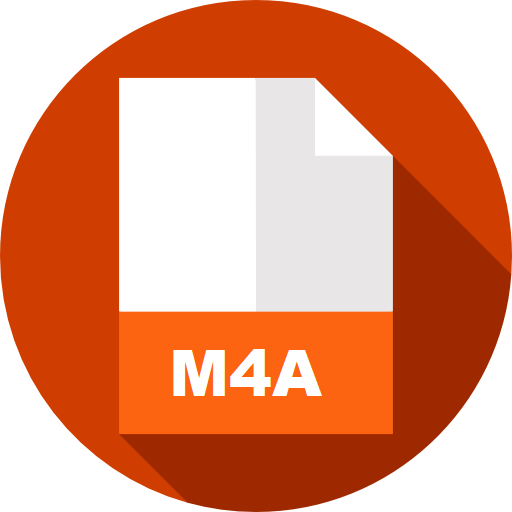 You could even choose to merge M4A files into one AAC file. Meanwhile, Leawo Video Converter still enables you to remove noise and trim M4A audio file. On the other hand, online video converters mostly support no batch conversion, and requires high on Internet connection performance. Some online video converters are not really free since they have limitation in file size. How to play M4A and AAC files on computer? Is there an almighty music player that could play both audio files? Of course yes. Leawo Blu-ray Player is such kind of free music player for you to play M4A and AAC files on computer. You don’t need to install 2 or more players to play audio files in different formats, and neither media player codec is required to install. Leawo Blu-ray Player solves all. What’s more, it’s far more than a video and audio player. It’s also a region-free Blu-ray player that could play Blu-ray, DVD, and ISO image files back, regardless of the disc protection and region restriction. It’s still a 4K video player that could play back 4K videos without quality loss. 1. Launch Leawo Blu-ray Player. 2. Click the “Open File” button to browse and add M4A or/and AAC audio files into this free Blu-ray player. 3. Loaded audio files would be automatically played back. 4. During playback, you could right click on the screen to adjust video settings like audio volume, amplification, offset, stream, output, output device, etc.